GT40 beside GT (not my photo). Wow, whale and calf, or what? I noticed this too, they’re not symmetrical! You want to basically see from the rear corner of the car to the lane next to you, in each mirror. That means the mirrors have to be at different angles. The glass, that is. Look up "reversibility of light". The angle of reflection (measured to the "normal" = line perpendicular to the glass or to a tangent to the curved glass you are looking at) equals the angle of incidence. When you sit in the driver's seat, you are closer to the driver's mirror, and hence those angles are more acute than when you look across to the passenger's mirror. Yes, the glass is what is tilted, but it appears that they may have also moved the housings in our case. Still awake? You can also check to make sure that nobody has knocked the housing (which does rotate if you hit it - sort of "folding in"). 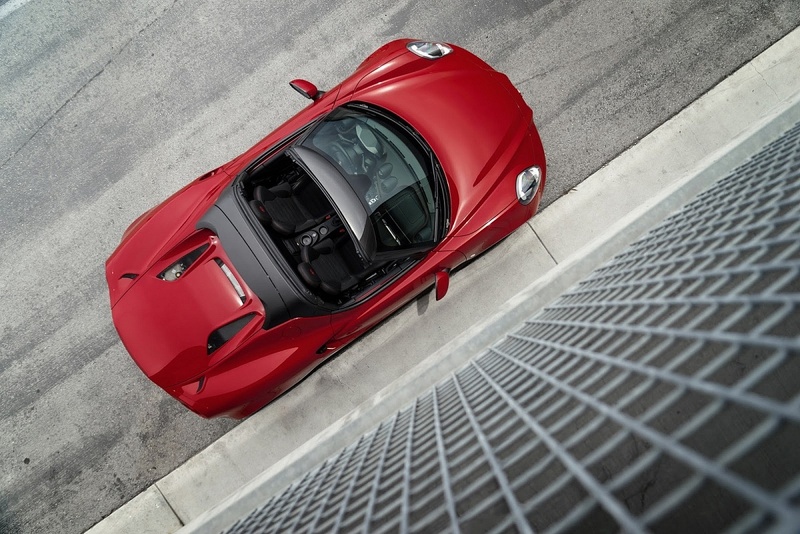 In your picture, you can see the passenger mirror casing is angled more towards the body of the 4C. I checked with my 4C buddies in Vancouver and they were surprised all their mirror casing are angled more on the passenger's side. They didn't notice until I pointed it out, one said the Pagani has the same type of set up. ...now here is the "Real" question : Does such a small run/production vehicle actually reverse this for our friends who drive on the wrong (OOOOOPPPPPPs heheee) LEFT side of the Queen's Roads? If they bothered to move everything else to the wrong side of the car, I'm sure they didn't stop with changing the mirrors, too! Even things such as headlight offsets are changed to not blind drivers, but illuminate road signs on the driving side of the road. While we here, someone google 'stubby german car mirrors.' I have more popcorn and beer to enjoy. Back when the passenger-side mirror was angled sharply AND stubby. 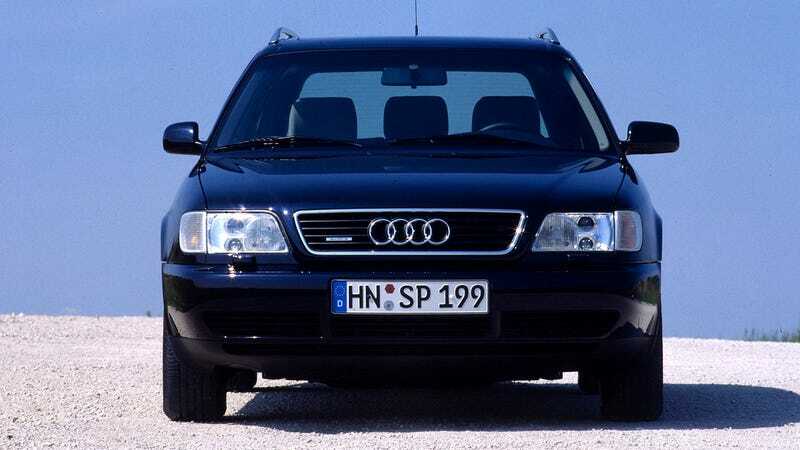 I think Audi actually did something similar, but used a big piece of mirror in the 1980's and did not use convex glass (no warning that objects were bigger than they appeared). Through positioning and sheer size, they accomplished the same thing as an angled mirror with convex glass. I am drawing on memory of a 1986 Audi 4000S. @lpspeedster Those Beetles were funky. That's not the case, I have been staring at this thing for 15 minutes lol. And I lied! Mine are at different angles. Anyway, you should know by now not to trust anything I post!